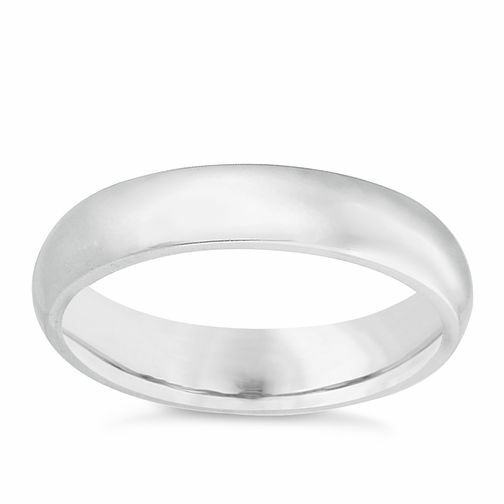 An elegant super heavy weight, court finish, plain 9ct white gold wedding ring. An ideal wedding band for the marriage of your dreams. 4mm. Ideal for bride or groom. 9ct White Gold 4mm Super Heavy Court Ring is rated 5.0 out of 5 by 1. Rated 5 out of 5 by Anonymous from Exactly what we wanted! My fiancée’s engagement ring is very fancy so we really wanted a simple wedding ring so it was still the star of the shows. This does the job perfectly. Simple, elegant, solid....she will likely never take it off again!